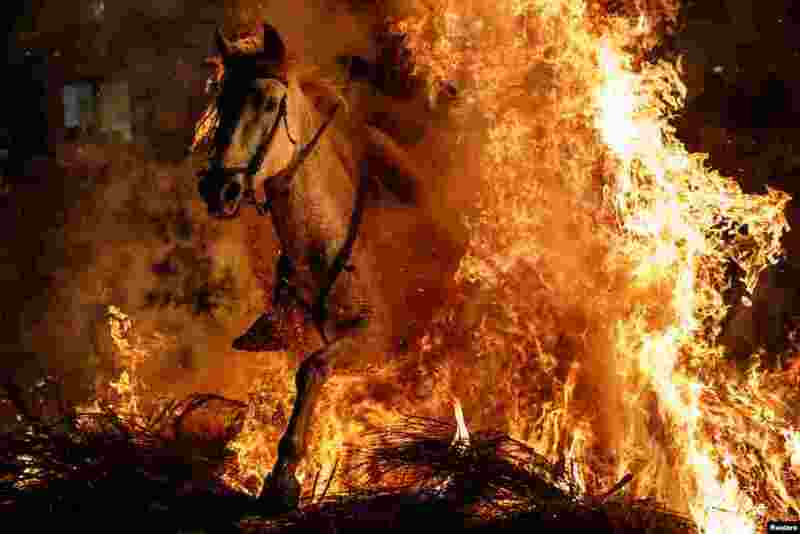 ١ A man rides a horse through flames during the annual "Luminarias" celebration on the eve of Saint Anthony's day - Spain's patron saint of animals - in the village of San Bartolome de Pinares, northwest of Madrid. 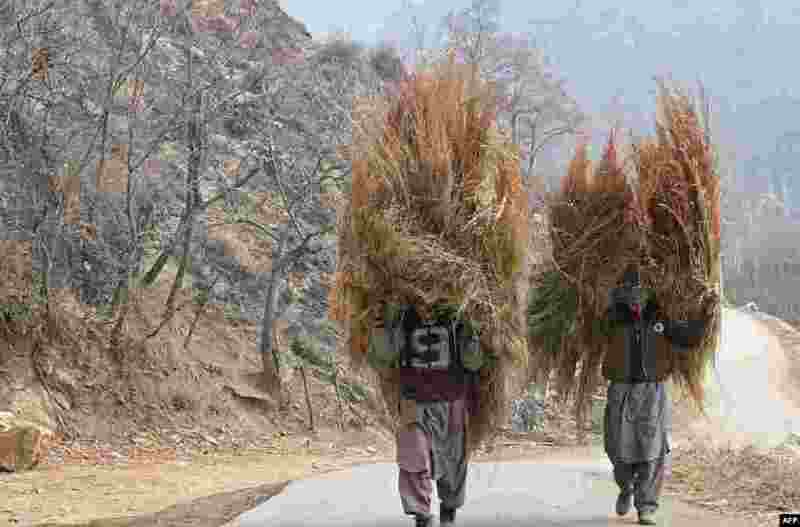 ٢ Kashmiri men carry grass for cattle on the outskirts of Srinagar, India. 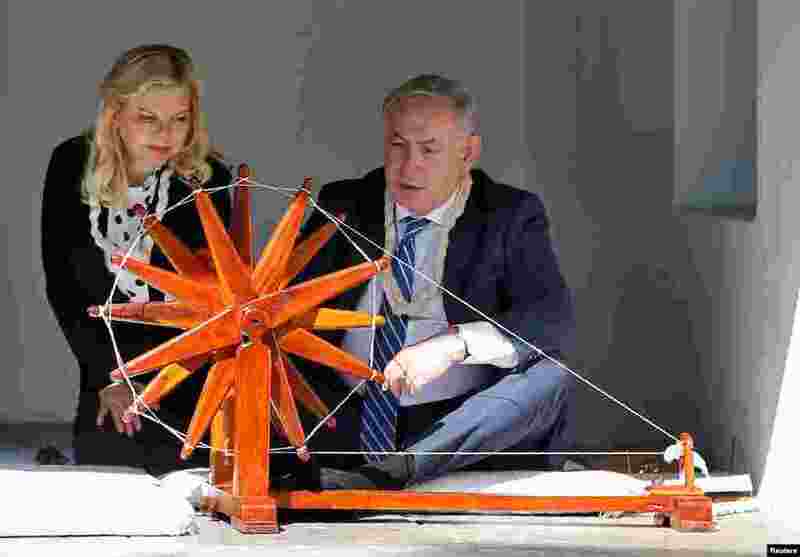 ٣ Israeli Prime Minister Benjamin Netanyahu spins cotton on a wheel as his wife Sara looks on during their visit to Gandhi Ashram in Ahmedabad, India. 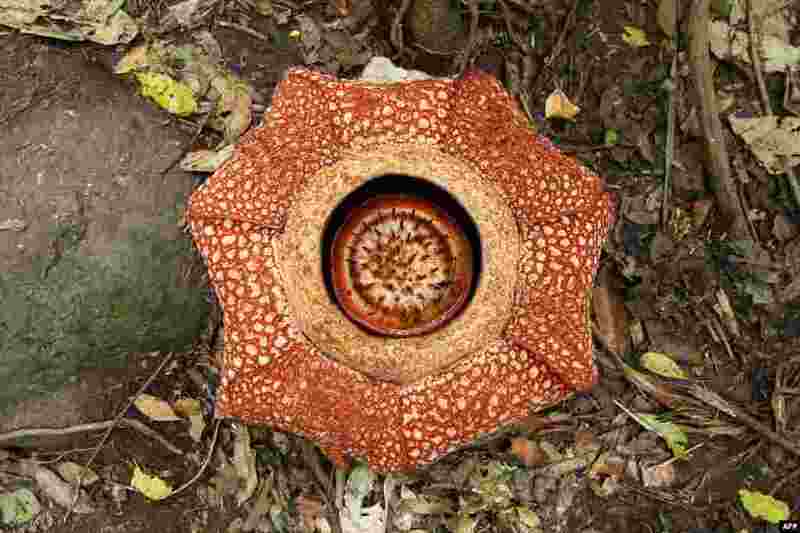 ٤ Seven-petal giant flower "Rafflesia arnoldii" is seen in full bloom in Padang Guci, Bengkulu on Indonesia's Sumatra island. The flower, named after British stateman Stamford Raffles and a British botanist Joseph Arnold, is a rare cabbage-like flower which normally has five flower petals, found mostly in the Sumatran rain forest.